Marrakesh Country Club. Golf Marrakesh Palm Desert. Marrakesh golf course details and information about Marrakesh Country Club in Palm Desert, California. 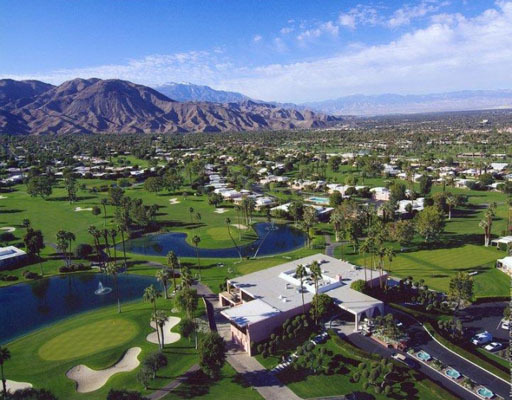 Marrakesh Country Club is a private, executive golf course in Palm Desert California. It has good amenities and is in a beautiful, natural setting. Well-kept grounds, lush fairways, and stunning mountain views are kept secret inside this gated community. The club blends classic Hollywood Regency design with the same feel of Morocco. It has rosy sandstone walls, citrus groves, and desert terrain. As a result, it has a unique Moroccan feel. In addition to golf, enjoy tennis courts or unwind poolside at one of the 14 pools. Marrakesh Country Club Palm Desert also provides lots of opportunities for socializing, dining and activities. Whatever members are in the mood for, they’ll find it in the comfort of the private Marrakesh Golf Club.